Athena Award winner Amy Killgore, center, is presented the trophy by League City Regional Chamber President Steve Paterson during the luncheon held at Lakewood Yacht Club in Seabrook. At right is Andrea Conner, Athena International president. Amy Killgore, who specializes in drug prevention education for Clear Creek ISD, is the recipient of the 2017 Athena Leadership Award, presented annually by the League City Regional Chamber of Commerce. She was honored with this prestigious award for her professional excellence, community service and for working to improve the quality of life for others in the community. The presentation came during a luncheon chaired by Bonnie Lem at Lakewood Yacht Club in Seabrook. The other eight nominees were Rick Clapp, Bay Group Media; Natalie Clarke, Galveston County Food Bank; Laura Elder, Galveston County Daily News; Ellis Hanley, Alcohol & Drug Abuse Women’s Center; Dr. Maurine Howard, Yachty Gras Foundation; Elizabeth Quigley, Senior Care Advocacy; Ashlea Quinonez, Memorial Hermann; and Connie Ricketts, Casa of Galveston County. Galveston County District Attorney Jack Roady served as master of ceremonies and Andrea Conner, president of Athena International, was the keynote speaker after League City Regional Chamber President Steve Paterson welcomed the crowd. As part of the event, the work of several local artists was on display during the champagne reception and after the luncheon – work by Roselyn Pierce, Mary Ann Selva, Sharlene Bozeman, Tassie Marceaux, Kelly Halbach, Mary Ann Mathys and David Myslenski as cellist Karen Akkerman of the Houston Symphony League Bay Area presented background music. 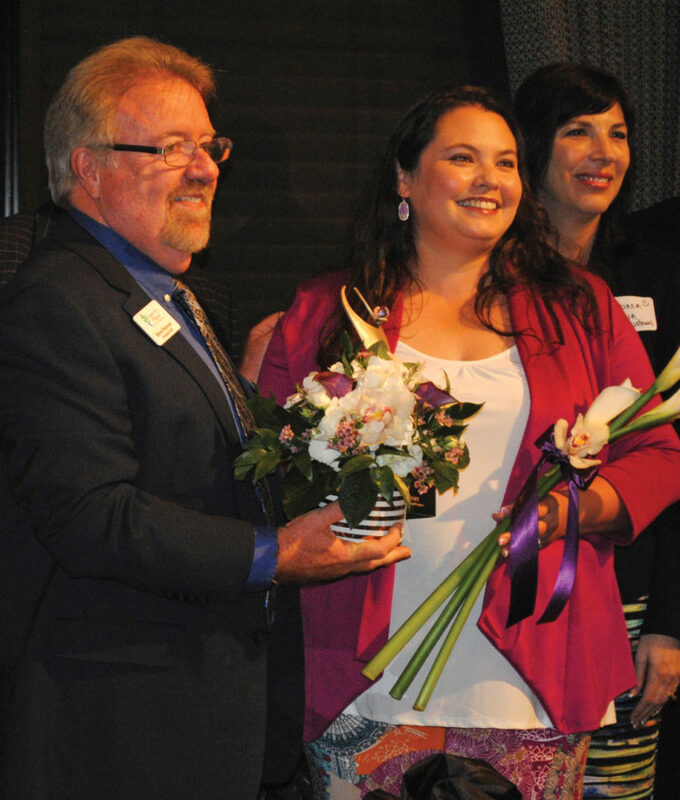 Killgore, the immediate past president of League City Rotary, received her Associate of Arts degree at College of the Mainland before transferring to the University of Texas at Austin, where she earned a B.A. in Psychology and Sociology. Later, she earned a Master’s degree in Prevention Science at the University of Oklahoma, developing the skills and knowledge necessary to help others fight addiction. Other members of the event committee included Jane McFaddin, Erin Webb, Mary Ellen Arledge, Marcy Fryday, Elizabeth Quigley, Janice Hallisey, Julie Howell and Doreen Hughes.